“Know your Shondesh” this is what I told me while writing this blog post! While Banglar Rosogolla received the GI tag; the same has not been applied to Shondesh yet in any form! Is it like the history of Shondesh is not that Misti as Roshogolla? What do you think? For me, however, if Roshogolla is the queen of Bengali sweets; and Shondesh indeed is the King. Now that I have talked about King and Queen; what about the people who created them! 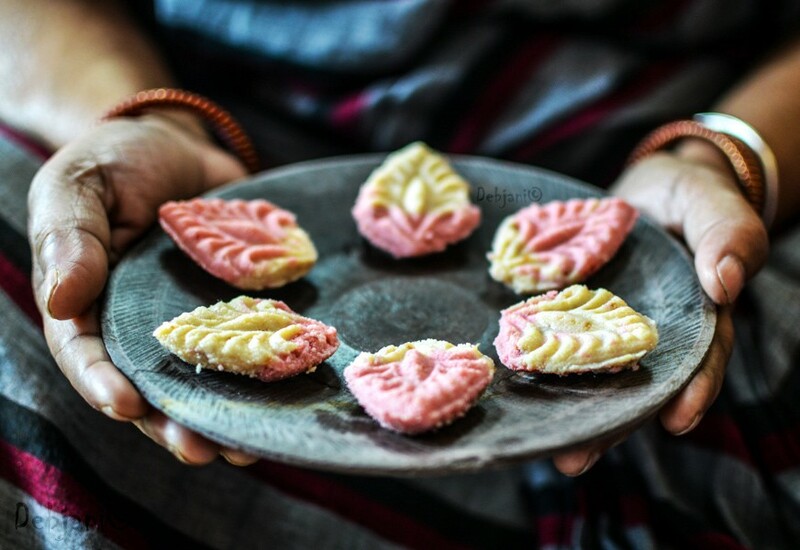 Yes, I am talking about the “Moira” clan aka the traditional Bengali sweet makers. Well, before going further; let me share a few lines by famous Bengali Kobiyal and Moira Bholanath Das. What else one could use to introduce Shondesh when there is a Gaan (Song) available which was written by a famous Shondesh maker. This poem talks about the life of a Bengali Moira in the true sense. In fact, this also talks about the famous rivalry between Bhola Moira and Antoni Firingi. 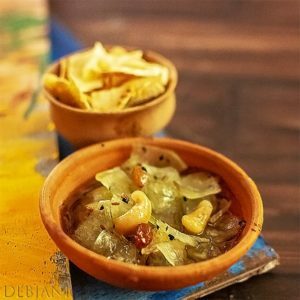 We all know that Shondesh is a famous Bengali sweet mostly prepared with Chana. Well not always. Have you realized it can be prepared with Kheer too! In fact, that is what people used to use while making Shondesh initially. The Sondesh we eat today; came into existence around 400-450 years back. Though a similar dessert was mentioned in medieval literature such as Ramayana which however, was prepared with kheer instead of chana. The initial days of Shondesh! Chana was not the main ingredient while making sondesh initially. Here I must mention our chana and German Pot cheese are almost similar. The Bengalis learned the process of making chana from milk from the Portuguese community. The first district where the “Moira’s started making sondesh in West Bengal was Hoogli. It is said that Middle-European Quark is the father of “chana or chena”. Quark is a soft cheese made out of curd. 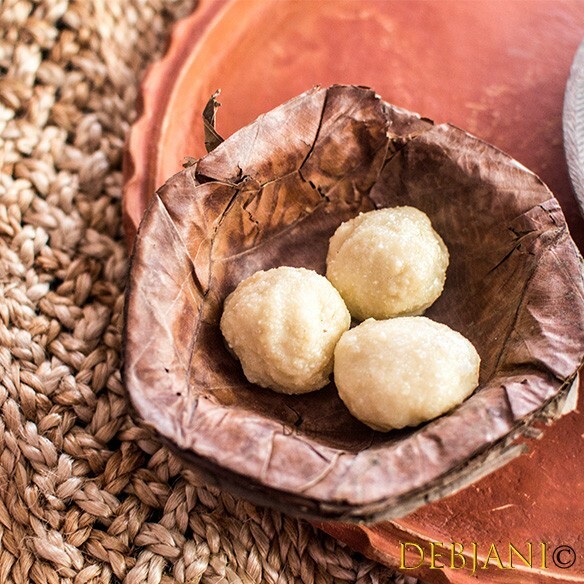 However, it was the Moira community who started using the Chana along with the sugar or jaggery to make Shondesh. Makha Shondesh: Chana cooked with Sugar/ Jaggery and mashed. No shape is given to this particular type. Shondesh and different shapes: Generally after cooking the Chana; moulds are used to give different shapes to Shondesh. To name a few: Sankh-shaped, Ata-shaped, Flower-shaped, etc. Norom Paker Shondesh: In this case, the shondesh is of soft in texture. Korapaker Shondesh: Here’ the texture is rough. There are numerous varieties and I just have named a few. A few famous Shondesh Shops and the Inventors! Before going further, I must mention I just have recorded a few legendary shops but not all. I will update this portion of the blog post whenever I have further details. I would be really grateful if I receive further information from the readers to update this portion. There are several books available which talk about Shondesh such as Rasabati by Sankar; Amar dekha Kolkata by Pyari Mohan Mukhopadhyay; Banglar Khabar by Pranab Roy and also a book by Mayurakshi Prakashan called Shondeshnama. Janai’s Jamindar Bari’s Predecessor; Sharmishtha was kind enough to share some valuable details about Monohara and Janai. Late Paran Nag and Jonaier Monohara followed by the birth of Bhim Chandra Nag! Jonai was the place where the famous Moira Paran Nag started making “Manohara” for the first time. The Moira family who invented the Monohara was none other than the Late nag. Paran Nag) opened their first shop in Kolkata and that is the year of 1826 and shop though got its name after his death. It was named after Bhim Chandra Nag; the father of Ladycani and Paran Nag’s son. Talking about sondesh but not to mention Bhola Moira aka Bholanath Modak is not wise. The father of “Kobigan” and also the father in law of Nabin Chandra Das. Talking about Nabin das; he was not a Moira initially. His family was having sugar business. Being said that they were responsible for the proper distribution of sugar during the 2nd world war. I will however not talk about him much provided this post is about sondesh. Bhola was a noted Shondesh maker then and so was Nabin. Surjo Modok, the inventor of famous Jolbhora Talsansh (Talsansh is the juicy seed of Sugar palm and hence the lookalike sondesh is known as jolbhora talsansh.) opened his first shop in 1846. He has opened the shop in Chandonnagore and till date one of the best shops when it comes to Shondesh in West Bengal. It was the year 1829 when Kalidas Modak came to Kolkata from Nadia and opened a shop near Kumortuli. 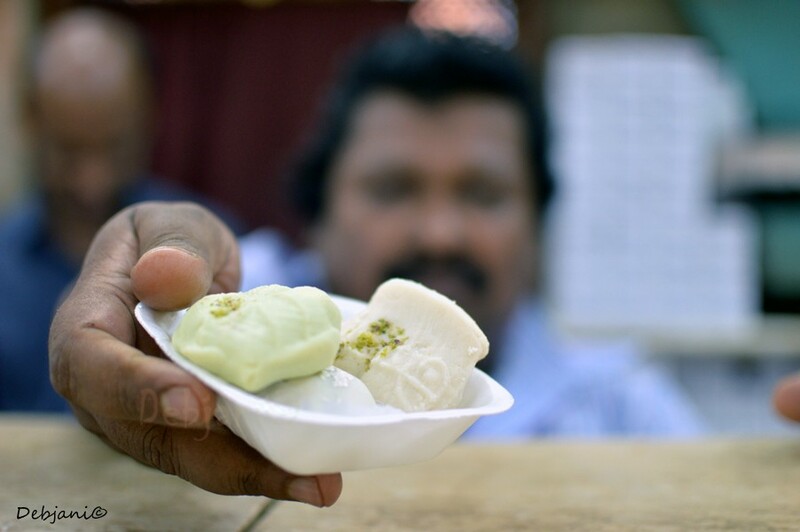 in fact, famous Indra sweets near College street which was closed in 2000, was run by the same family. Mahesh Day came from Hoogli and opened a small shop. It was around 1844. He, however, did not name the shop. This shop also was named after his son. Here I am talking about Girish Chandra Day. Girish’s daughter was married to Nakur Chandra Nandi and the rest is history and you know why. Then there was Makhan Lal Das from Bardhaman district who was an orphan. Makhan used to work for a sweet shop near Chitpur run by the Nandi family. They finally handed over the shop to him and it was the year 1820 when the shop got its name. It was the year, 1865 when Dwarik Das opened a sweet shop along with his brothers. Dwarik was the first shop to sell savory items along with the sweet dishes. Talking about Sondesh and not to mention “Ratabi Sondesh! Well, I will for sure not going to do that! With the Ratabi came the Sen family and their famous shop Sen Mahashoy. The first shop was opened back in 1897. Late Asutosh Sen was the founder. Here I am going to mention a shop from Krishnanagarbalso; the famous Adhar Mistanna Bhandar by Adhar Chandra Das. He opened the shop in the year 1902 and the shop is famous for their Shorpuria. Last but not the least, Balaram Mallik and Radharaman Mallik. Late Ganesh Mallik came from Konnagar and opened a Mistir dokan which was ultimately named by his two sons; Balaram and Radharaman. Now one of the finest sweet shop chain in Kolkata. How do you like Know your Shondesh blog post from Debjanir Rannaghar! Do let me know your opinion. Also, I would love to see a picture of a shondesh which you can share here on dolonchttrj@gmail.com. Meanwhile, on Instagram, you can use my hashtag #debjanirrannaghar and in addition, you can tag me at @foodofdebjani.